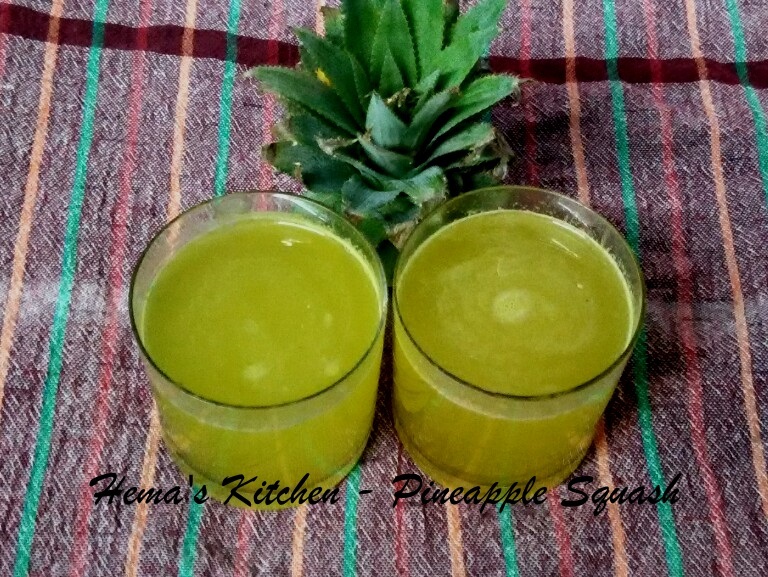 As summer has started I made pineapple squash at home. My mother used to make all types of squashes at home when summer starts. I was reminded of her when I stared making squash. Pineapple squash is made from pure fresh pineapple and it looks and tastes awesome when served chilled.